Intense Pulsed Light™ (IPL™), the gold standard for photorejuvenation, represents a breakthrough in age-defying skin care. IPL™ treatments address the effects of aging and sun damage with low risk of complications and no recovery time. This FDA-approved, patented technology provides dramatic results for a variety of benign conditions, including age spots, sun-induced freckles, symptoms of rosacea, birthmarks, unsightly veins and acne scarring. Come in for a cosmetic consultation at Chevy Chase Cosmetic Center to see if the IPL Laser is right for you. Call Chevy Chase Cosmetic Center 240-482-2555 for an appointment in Chevy Chase or 301-345-7375 for Greenbelt today! What conditions can IPL photorejuvenation treat? IPL photorejuvenation treats imperfections from sun damage and photo-aging, enlarged pores, rosacea, general redness, acne scars, dull complexions and other facial imperfections. 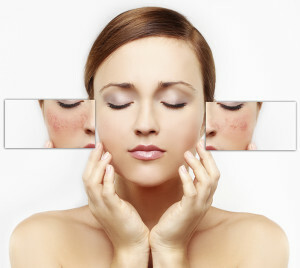 Skin abnormalities can detract from your well-being and appearance, no matter how healthy and young you feel. After a series of treatments, you may see a significant reduction of unwanted pigmentation, redness, and lines, and see the appearance of smoother, revitalized skin. The same treatment can be used effectively on the neck, the chest, and the hands. Depending on the number of conditions you are treating, and the severity of the individual problem, we recommend a series of five or six treatment sessions. You may return to work the same day and resume all your regular activities. By dividing the full program into several treatments, you will receive gradual improvement with very low risk and appreciate the wonderful "no downtime" feature.